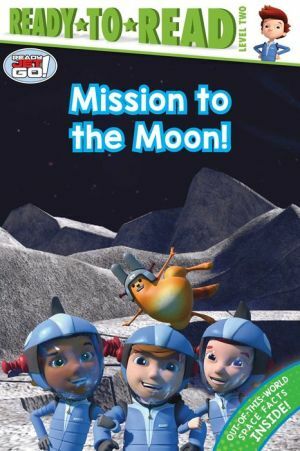 Jet takes his friends on an out of this world adventure to the moon! While they are there they take a look back at man’s first moon landing—Apollo 11 in 1969. This Level 2 Ready-to-Read includes bonus back matter content with lots of fun facts about the moon and the Apollo 11 crew. © Copyright 2019 Jet Propulsion, LLC. Ready Jet Go! is a registered trademark of Jet Propulsion, LLC.